Property of the month: The Apartment, Bath. 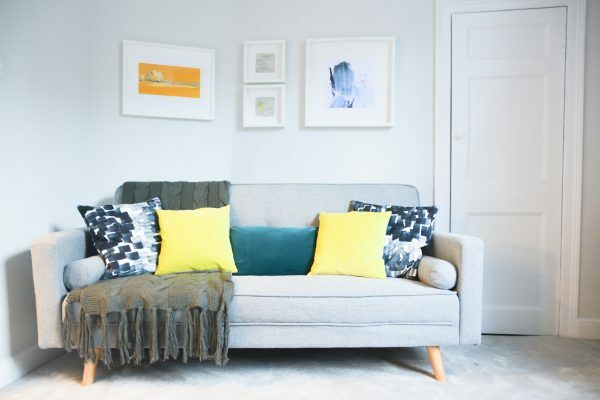 Stay in Bath > News > property of the month > Property of the month: The Apartment, Bath. Described by guests as “a stunning gem” and a “real home from home”, The Apartment, Bath, is a luxury two-bedroom holiday home ideally located in the heart of Widcombe. Its central location and proximity to the train station (a four-minute walk) make it a great choice for anyone travelling via the rail network and looking for more sustainable travel options. Guests will find themselves close to all of Bath’s main attractions without sacrificing tranquillity, with many previous visitors commenting on how peaceful the neighbourhood surrounding the apartment is. Much like the city itself, the property is oozing with history. Retaining period features, the Grade II listed building contrasts beautifully with the contemporary design. Guests will find all the tech they could need, including superfast broadband, an internet-connected TV, Apple TV, Nintendo Wii and a library of Blu-rays, plus a sleek, fully integrated kitchen complete with Nespresso coffee machine. Adam, one of the owners of The Apartment, Bath, said: “We’re a brand new business (established in 2017) in a not so new building. Our research has revealed that our home was once a greengrocer, a dairy, a newsagent and the homes of a local carpenter and a dressmaker.” Adam runs The Apartment, Bath alongside Claire, and they go out of their way to share their history and heritage when meeting their guests, particularly those from overseas. The pair promise that all guests will be provided with a stylish interior, a personal welcome and unforgettable experiences. Despite being a relatively new business, Adam and Claire have really made their mark on the city. 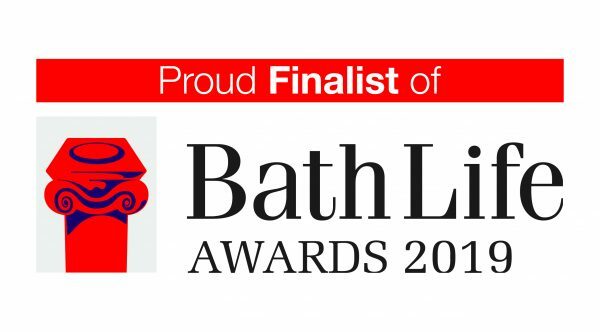 They have been named as Bath Life Awards finalists in 2019 in the Leisure and Tourism category and in their first year of being in the city, welcomed 298 guests through their door, including high profile film and classical music stars. Exceeding expectations is something that Adam and Claire can prioritise as an independent business. Claire said: “We make a point of personally meeting every guest, showing them around our home and spending time on arrival discussing how to make the most of their time in our city. We are, in effect, a 24/7 private concierge and are able to recommend places to eat, drink and visit. We always try to recommend our neighbouring independent businesses in and around Widcombe. It is this attention to detail that really sets independent businesses apart from larger corporations. The Apartment, Bath can be found in the Widcombe area of the city. Widcombe is a very well connected area of Bath, it is in close proximity to the bus and railways stations, as well as the river and canal and is home to Britain’s second deepest canal lock. 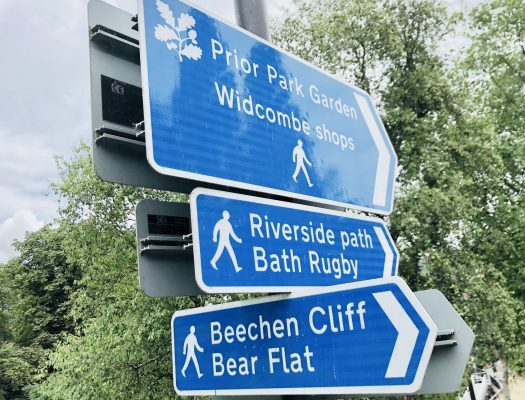 Public transport is easily accessed by a short level walk and the direct, local bus services have routes all over the area, including to the Royal Victoria Park, the city centre, University of Bath and Oldfield Park. It is also on the sightseeing bus tour which provides guests with spectacular views across the city and hop-on, hop-off access to the National Trust’s Prior Park Landscape Gardens and Bath Skyline. The skyline is a six-mile circular route encompassing beautiful woodlands and meadows, an Iron Age hill fort, Roman settlements and 18th-century follies. Widcombe really is a fantastic, friendly community conveniently close to the centre of Bath with a village-like atmosphere. The pair has been Bath residents for over fifteen years and from the outset, aimed to support and integrate with the local community. 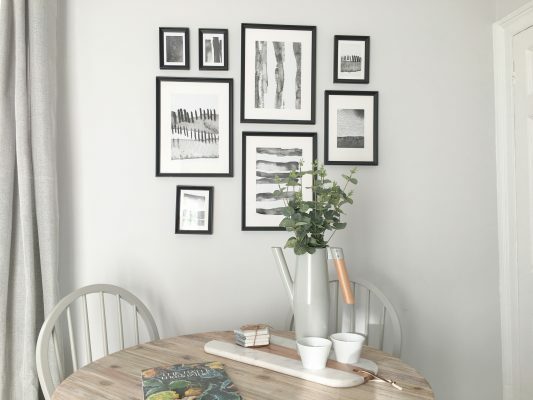 During the refurbishment of The Apartment, Bath all the contractors were locally based, the stylish décor is thanks to a local designer and the artwork on the walls is from local artists. Even the day to day running of the property includes working with other local businesses in Widcombe Parade. As dusk falls, they recommend heading up to Alexandra Park for its wonderful panoramic vista and arguably the best view of Bath. The evening would then be set aside to enjoy Bath’s burgeoning creative scene from performances and events within one of the city’s many festivals or a concert from Bath Philharmonia, the city’s very own professional orchestra. If that wasn’t enough, Adam and Claire are innovative in their use of technology across the business. They have invested in 360 photography which gave potential customers an immersive and totally transparent experience prior to booking. You can find out more about the 360 tours here. Guests will also find inside a smart TV, smart thermostat and energy efficient motion-activated night lights and LED lighting throughout, safe in the knowledge that their energy is coming from an award-winning supplier providing 100% renewable electricity and carbon offsetting for gas – so their green credentials stack up well too! To find out more about Adam and Claire you can follow them on Twitter, Facebook and Instagram, or take a look at their website here.